Homeowners have multiple options when changing the look of their home. When changing exterior siding, adding stone treatments or deciding on interior upgrades to fireplaces or walls, stone veneer and manufactured stone both have something to offer. Understanding the differences between these products helps the homeowner know where each fits in home design plans. Manufactured stones and veneers cost less, but look the same as real stone. Manufactured stone replicates real stone with the same look, feel and texture and comes in a variety of styles. Real stone is typically sold by weight, while manufactured stone provides a cost-saving alternative because it's sold by the area that it covers. The difference between the two is in the pocketbook, not in how they look as design elements. 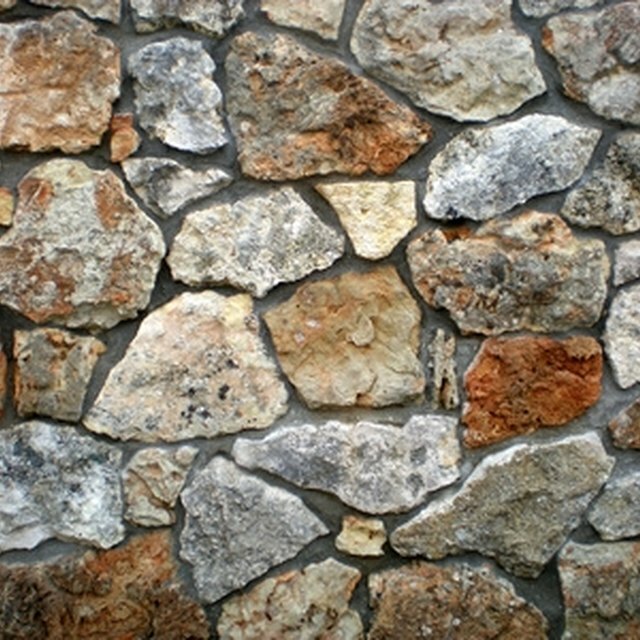 Manufactured stone is made of stone aggregates and a binder, which are pressed together to look like real stone. Stone veneer is available as individual stones or in panels for easy installation, depending on the manufacturer. Carved from the stone in real quarries, stone veneer comes in dimensions 1/2 inch or thicker for easy installation and transportation. Because the veneer is thinner, stone veneer costs less than regular stone. Veneer also conserves resources by making quarry deposits last longer. The homeowner also has the option to purchase manufactured stone veneer, which takes the best qualities of the aforementioned products. Aggregate materials in manufactured stone veneer consist of sand, small stones and cement treated to match stones found in nature. Manufactured stone veneer costs less than real stone veneer, as it is made at a production plant. Veneer Stone: What is Manufactured Stone?